That was a comment from Larry Fiscus, a Minnesota-based woodworker and professional finisher who spent 40 years in the business. 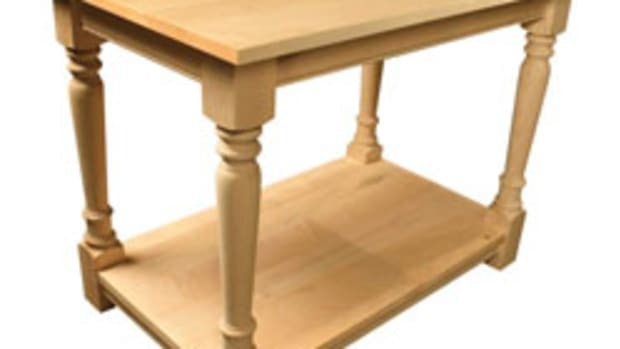 His point was succinct: all that time invested in building perfect dovetail drawers or the money spent on top-grade veneers is wasted if the topcoat is substandard. 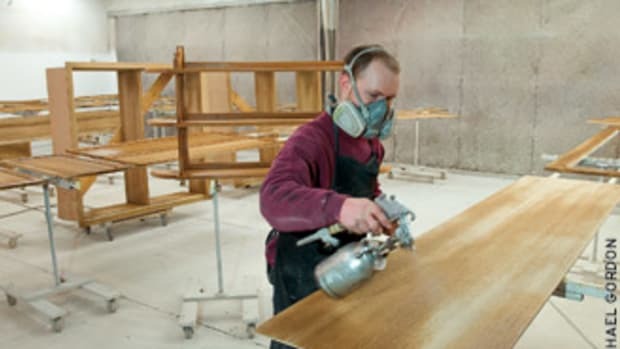 The quality of a finish depends on five things — the material being coated, the spray equipment (including lighting), the air purity, the woodworker’s experience/knowledge and the type and quality of the coating. Each depends on the others. For example, a shop needs to decide what kinds of product it will spray before investing in finishing equipment. If it’s time to upgrade the hardware, this might also be a good opportunity to look at new coatings. Before investing in a new booth, HVLP turbine or spray guns, it’s a good idea to map out exactly which stains, sealers and topcoats the shop will apply. The equipment choice will be easier if the shop decides to stay with one type of carrier (solvents or water). And there are also some advantages to offering fewer choices to the customer. Limiting the booth to a few gloss levels in the same material means that there is a shorter learning curve, quicker changeovers and less cleanup. The people running the spray booth become more efficient, better at predicting what can go wrong, and better at dealing with problems. Making coatings choices is a challenge with so many environmental concerns on the horizon. In the next few years, will lacquer and oil-based products go the way of the incandescent light bulb or leaded gasoline? Plus, the world is shrinking fast and environmental legislation will someday be universal, covering woodshops from Guangzhou to Gainesville and Perth to Perdue. With that in mind, it makes sense to choose new finishing equipment that can at least be converted to waterborne coatings, even if that’s not what’s currently being used. If you’re investing in new equipment, it seems smart to consider industry trends beyond our shores and assume they will, at least in part, eventually show up here. 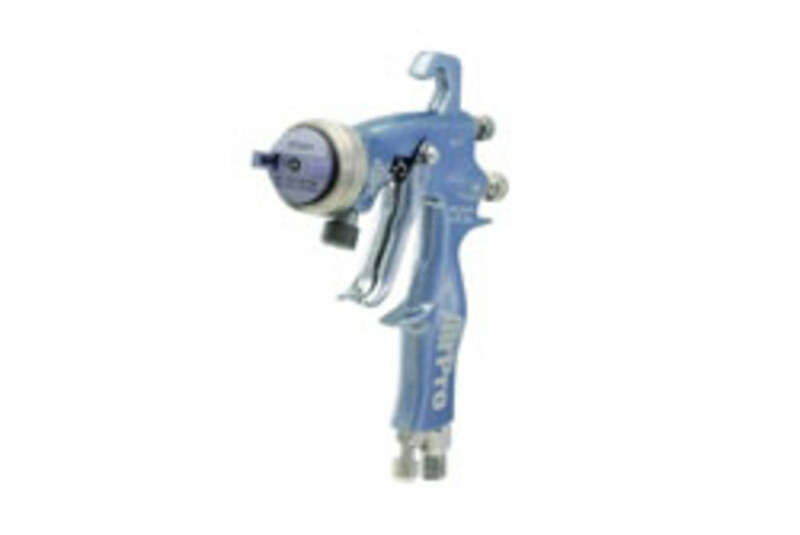 Graco Inc. (www.graco.com) manufactures its new line of AirPro guns in Minnesota. The gun weighs about 2 lbs. with a cup and can handle sealants, adhesives, waterborne finishes, solvent-based liquids, high solids, epoxies and UV coatings, so they’re a good choice for shops that switch finishes. Graco also now makes a new line of air-assisted airless guns that are designed to stop a woodworker getting too tired and these also let the operator vary the spray pattern without having to change tips. 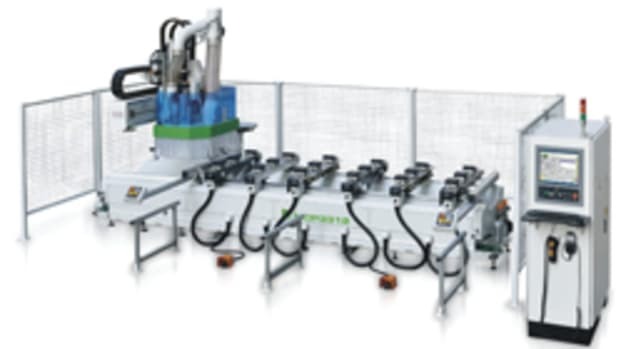 Apollo Sprayers (www.hvlp.com) has been supplying woodshops with High Volume Low Pressure (HVLP) equipment for more than 45 years. This company, which is still family-owned and operated in Vista, Calif., has strong environmental guidelines. 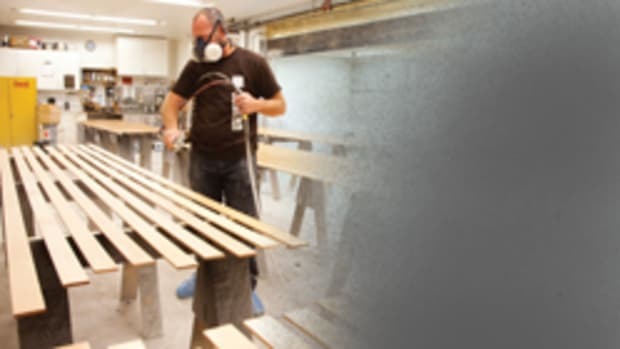 The plant builds a lot of equipment that is designed to reduce overspray, which in turn saves woodshops money on coatings and produces a healthier work environment. A few months ago, Apollo released its new Precision-5 series for use with waterborne coatings and solvent-based enamels, stains, lacquers, polyurethanes, catalyzed finishes, conversion varnishes and linear polyurethanes. An upgrade on the company’s standard 1050 system, this new model has some downright nerdy tech features, including a very accurate (to 1.10 PSI) pressure-regulating system that actually controls the motor speed, voltage and amperage. This means that the sprayer adjusts automatically for altitude and barometric pressure. It’s designed to deliver precise atomizing pressure anywhere in the world, so it will work just as well in Denver of the Everglades. The Precision-5 also comes with an LCD display that shows actual pressure, an LED warning that alerts the operator to dirty or clogged filters and a throttle back control that slows the motor for greater longevity. It even has a docking station for the spray gun that lets a shop store, hold or transport the gun in a vertical position, with no risk of knocking or falling over. Binks (www.binks.com) has been busy, too. Its new AA1600M gun improves fan pattern adjustment for hard-to-reach areas and reduces buildup of acid-catalyzed coatings, according to the company. That makes this HVLP gun particularly well-suited to furniture studios and architectural millwork shops, where projects can present some unusual challenges. The gun has a maximum pressure rating of 1600 psi (hence the name), comes with stainless-steel fluid passages and weighs just 17 oz. Anest Iwata USA (www.anestiwata.com) offers its patented LV Technology nozzle, which pre-atomizes the finish before leaving the nozzle while using less air pressure with lower air consumption than standard nozzles. The nozzle has no gaskets, because all of its parts are friction-fit. 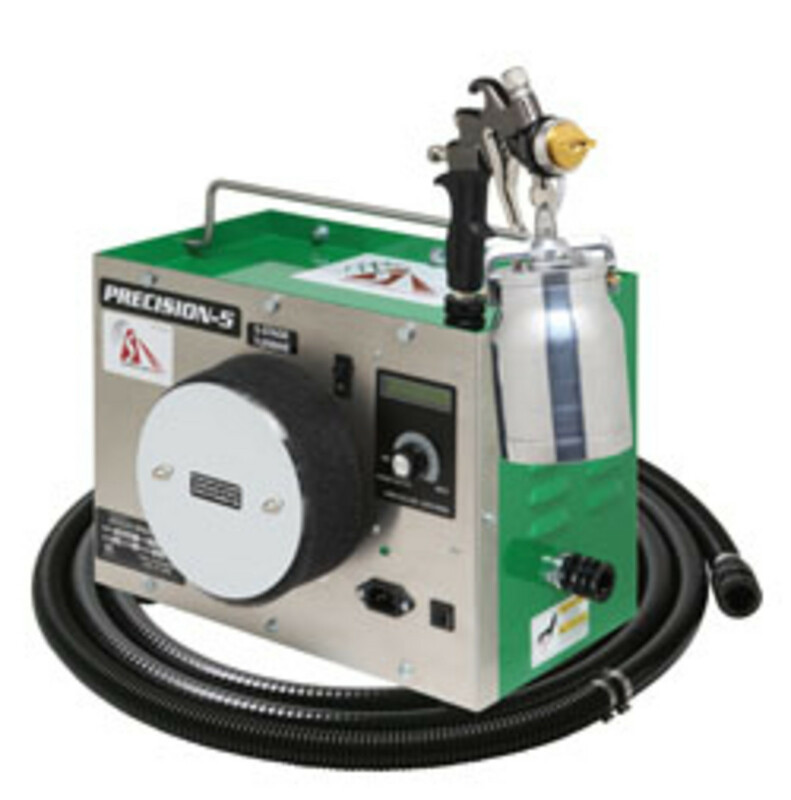 DeVilbiss (www.devilbiss.com), based in Glendale Heights, Ill., offers the FLG4 spray gun based on an earlier model called the FinishLine. The new gun comes with stainless-steel needles and fluid nozzles, plus brass air caps. Its DeKups brand disposable paint cups also make cleanup easier. DeKups is a complete line of disposable cups for gravity and siphon spray guns and the company supplies a full array of optional adapters that allow them to work with all Binks, DeVilbiss and other competitors’ spray guns. The FLG4 is an all-metal construction gun and weighs 19-1/2 oz., according to the company. In the last decade or so, Nordson (www.nordson.com) has been offering our industry the ability to apply a new generation of low cure-temperature powder coatings. By reducing heat, the process allows powder coating on flammable substrates like MDF. Long popular as a way to coat metal components in other industries, powder coating provides a very durable and economical alternative to sprayed liquid finishes and also to some sheet stock solutions currently being used by shops that build for institutions, such as melamine or vinyl coated MDF. Lower temperature, UV-curable powder coating materials are making this possible and the rewards for woodshops include an infinite color pattern, including varying levels of gloss and texture. 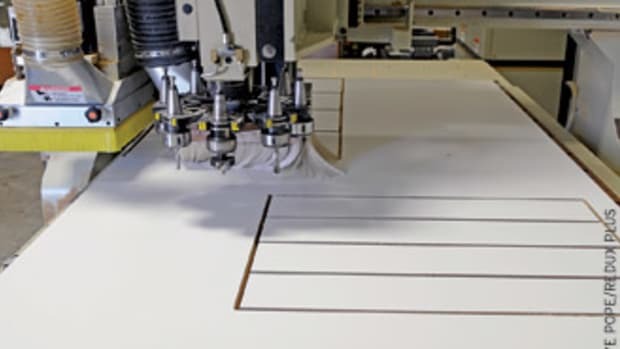 The process works on standard MDF, is faster than laminating, is cheaper than outsourcing premade panels and is a more environmentally friendly route. Dan-Am is the exclusive authorized importer for Sata spray equipment (www.sata.com) in the U.S. and offers the company’s new compact spray gun, the Sata Minijet 4400B, designed specifically to tackle small areas and do touch-ups. For those who already own Sata guns, this is the replacement for the 3000B model. Completely redesigned, the new gun is, for the first time, available in both HVLP and RP versions. Three cup sizes are available and the large connector in the new version provides plenty of access for easy cleaning. If your woodshop is coating a lot more moldings than it used to, it might be time to look at automatic molding spray machines. Taiwan-based Cantek (http://cantekamerica.com) has been in that business since 1985. 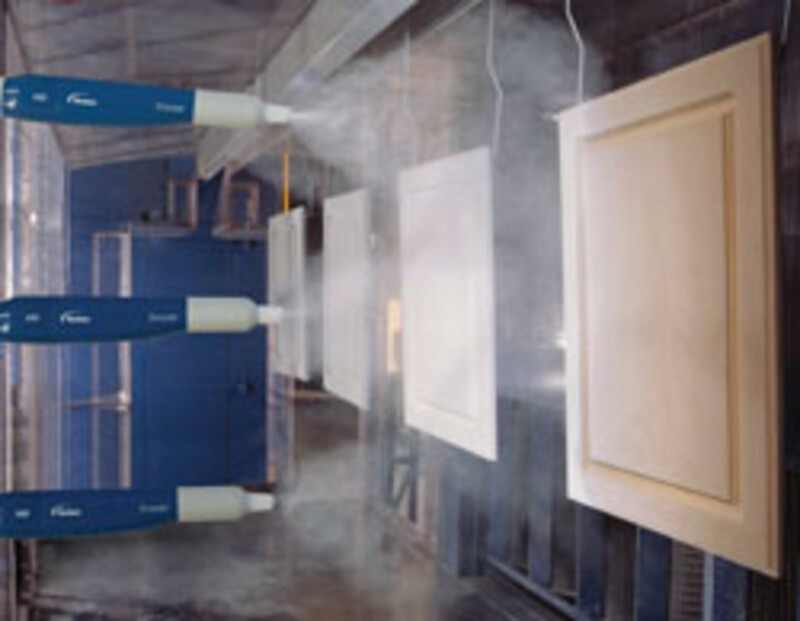 Its CD300 is an automatic linear-spraying machine that sprays lacquer on moldings, picture frames, narrow doors, window parts and furniture components up to 300mm (about 11-3/4”) wide. It’s basically a big box setup with either four or six Iwata guns that are automatically timed by photocells. The product is moved through the machine by a setup that will look familiar to any shop using a power feed on a table saw or molder. 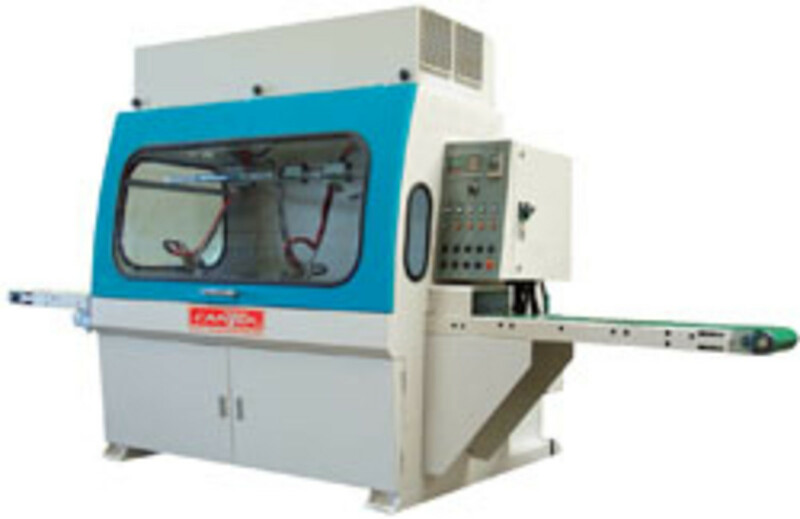 Some of the advantages of investing in an automatic molding spray machine include minimal overspray and environmental advantages: everything takes place inside the machine, so venting isn’t a big issue. The Volumair automatic paint line from Swedish manufacturer Sotholms Bruk is another option, especially for waterborne finishes. And the SP-12 molding sprayer from DuBois (www.duboisequipment.com) is a mobile unit that is designed to be operated in the front of a ventilated spray booth during coating operations, so any vapors will be collected and discharged through your existing spray booth’s exhaust system. The SP-12 also comes with an independently controlled sanding unit for de-nibbing the dried seal coat immediately before topcoat application. It’s equipped with three Airmix spray guns and a Kremlin 20-25 pump with regulators, a fluid filter and all the necessary hoses, fittings and connections for a complete working system. It will handle parts up to 12” wide, 3” thick and at least 36” long. The maximum line speed on the SP-12 is 150 feet per minute. 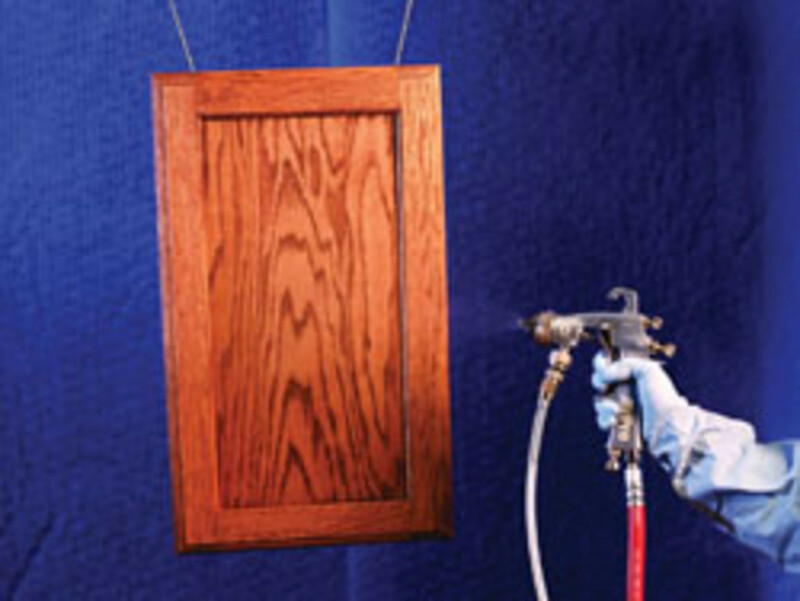 Beyond moldings, there is a wide array of flatbed sprayers for doors. 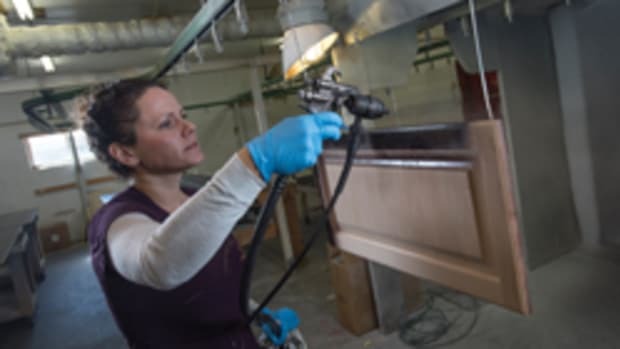 These are self-contained units that allow a woodworker to feed a sanded, unfinished door in one side, walk around the machine and collect a sprayed product at the other side. They have been around for a long time, so the technology is quite sophisticated. For example, the Compact Plus P from Superfici America (www.superficiamerica.com) is a fully functional PLC-controlled machine that has all the features of some of its bigger cousins in this field. Switching from sealer to topcoat in these units is simply a matter of pressing a few buttons on the control panel. 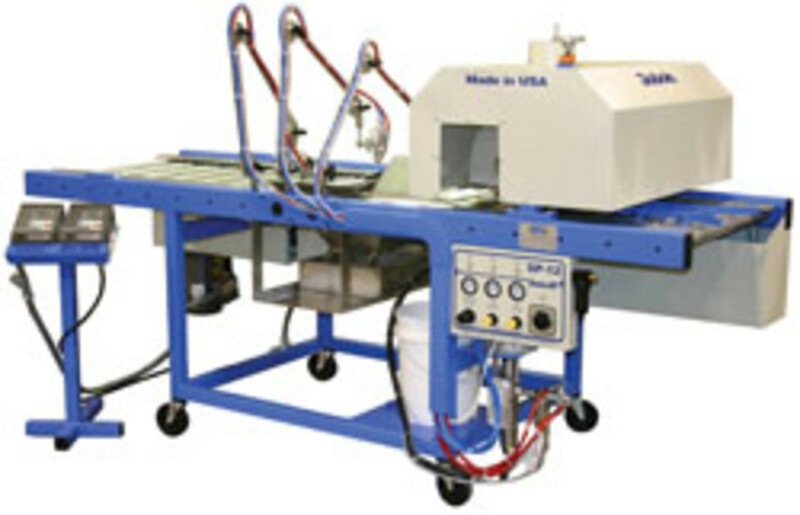 As with all automation, a woodshop considering a door or molding coating machine needs to balance the initial investment (or the cost of a lease) against the volume of work the shop produces. A good place to start exploring automatic booth technology is YouTube, where several manufacturers have posted videos of their equipment in the act of spraying both long and wide stock. Sometimes, the decisions we make aren’t based just on the problems we face. 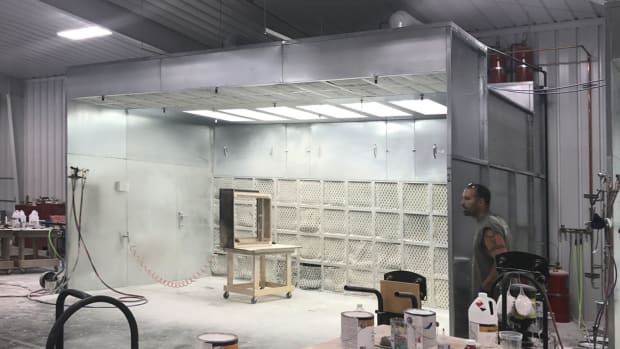 One might think that choosing a spray booth would be all about the size of the items being sprayed, but nothing is ever that simple. 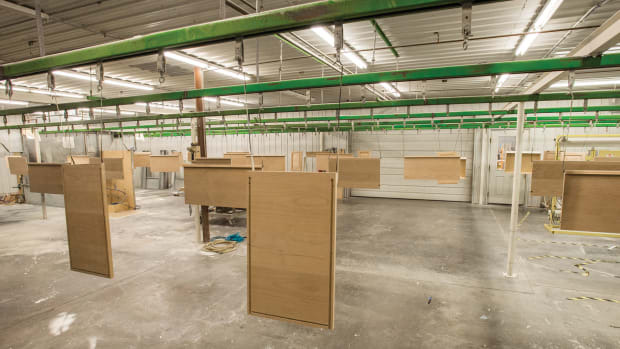 Municipal, state and federal regulations can play a large part in choosing the right spray booth for a woodshop. Before opening a catalog or surfing the Internet, it’s a good idea to sit down with the powers-that-be and discover what’s allowed. The building inspector’s office is a good starting point. He or she will let you know whether there are hoops to jump through and, if so, where the officials governing them can be located. The local fire marshal will probably weigh in on any decisions, too. There might be other regulatory agencies involved, depending on the volume and type of product you plan to spray and where in the country you are located. One of the upsides to buying a new booth is that many models are easily custom-sized, which makes them a lot more amenable to fitting into an existing space. And the units themselves can be relatively inexpensive. 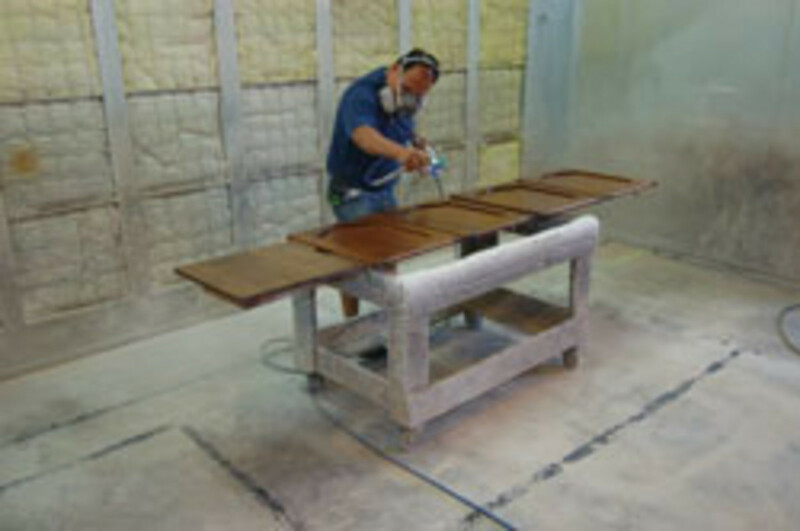 For example, www.paint-booths.com offers a baker’s dozen of smaller booths that range from $2,599 to $6,699. Of course, there are going to be some costs involved in the shipping, installation and venting setup, too. One of the keys to a great finish is adequate lighting in the spray booth. Ideally, light sources should provide both overhead and raked illumination. When a photographer sets up several light sources during a shoot, he is usually trying to eliminate, reduce or even control shadows. In a spray booth, the opposite is true: one wants to expose aberrations. A raking light (one flowing across a surface) will reveal dimples and imperfections. Safe, booth-approved lighting is widely available. It is rated explosion-proof and is certified for this use. Suppliers such as Larson Electronics (www.larsonelectronics.com) can recommend solutions that meet code, are safe, and also provide the best color and power for your application. There are even explosion-proof light banks on trolleys that can be moved around the booth to provide perfect illumination. A second consideration with spray booths is the filtration. The molecules of waterborne and solvent finishes vary in size, so the density of the booth’s exhaust filters can be an issue. Knowing what will be sprayed allows your booth salesperson to make recommendations for filtration. For small shops looking for an inexpensive way to separate spray functions from the rest of the shop, a curtain wall might be the answer. They are ideal for shops that only occasionally apply finish. Costing about one third the price of a standard construction wall, these see-through solutions can help reduce contamination. Curtains from companies such as Goff’s (www.goffcurtainwalls.com) are custom-sized and made out of fire resistant, waterproof, mildew and rot resistant vinyl. One final option for finishing equipment is to simply not deal with it. Today, a woodshop can hire somebody else to do the coating (and the building). With a huge range of ready-to-assemble, pre-finished components on the market and outsourcing shops that can provide custom products with the coatings already applied to them, it’s actually possible nowadays to hire out almost all of the work and still provide your customer with a “custom” product. If a few components need to be finished in-house, then a small booth and a basic HVLP system should cover that. And if you still want to build everything in-house, finding a local larger shop that will apply the sealer and topcoat could be a possibility, too. Larry Fiscus, the finisher quoted at the top of this article, died recently. He liked to reduce complexities to their essence — kind of the Will Rogers of the coatings world. And in this instance, he was right on the money. The finish is, well, critical. As new technologies emerge and waterborne, environmentally sound solutions improve to the point where shop owners feel they can replace traditional materials, the delivery systems are evolving, too. Yes, updating is expensive. But not making the investment can be a lot more expensive in terms of the quality of the product and the air we breathe.